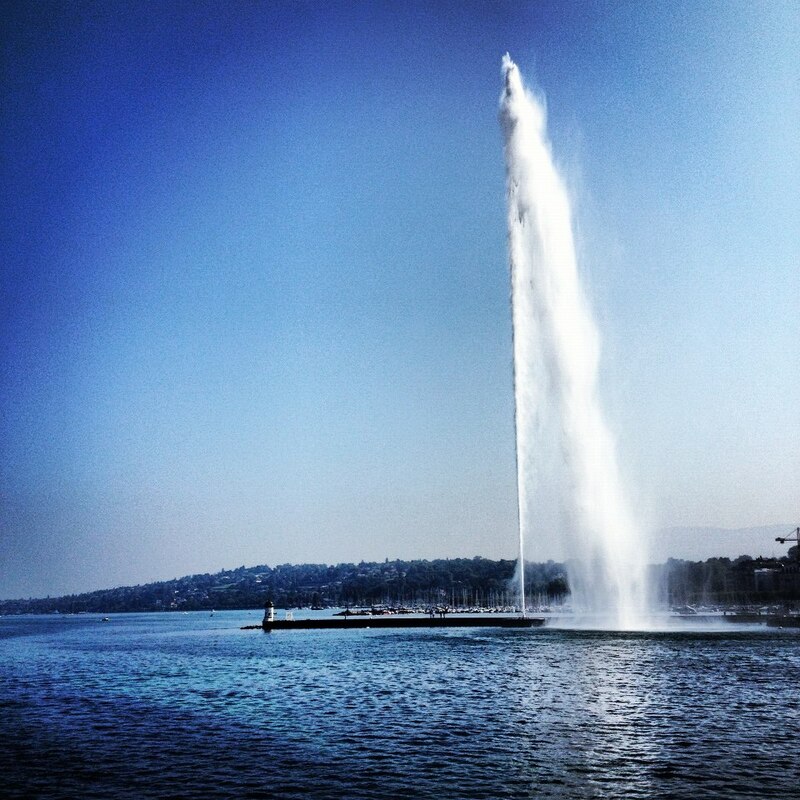 Geneva, Switzerland was our fourth stop on our honeymoon adventure. Geneva is a beautiful, bustling city on Lake Geneva that’s filled with sightseeing, outdoor markets, shopping and restaurants. We quickly mastered our way around the city and found that our favorite area was Old Town (Vieille Ville), which is the historic area of Geneva. Since we spent a lot of our time in Old Town, we also dined there and had some of our most memorable meals of the honeymoon there. The food in Geneva was similar to Nyon, but in addition to the French influence, there was also a strong Italian influence on the food. 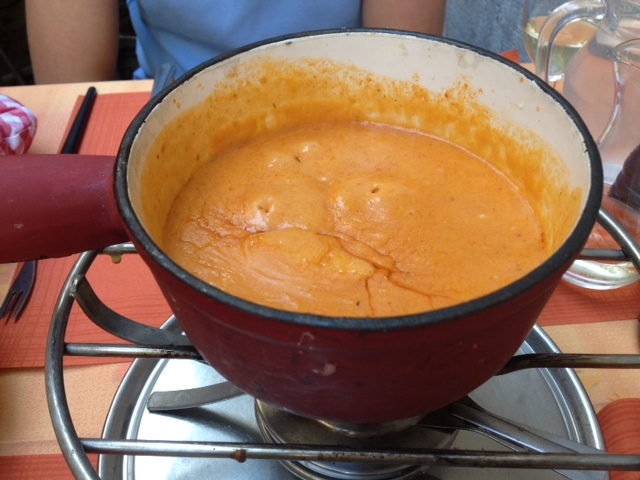 Below are a few of our delicious meals from Genève. Cafe Flore was a quick and casual Italian restaurant with large outdoor patio. Their menu was filled with pizza, pastas and salads. Gareth had his standard pizza of the honeymoon: anchovies, capers and black olives. 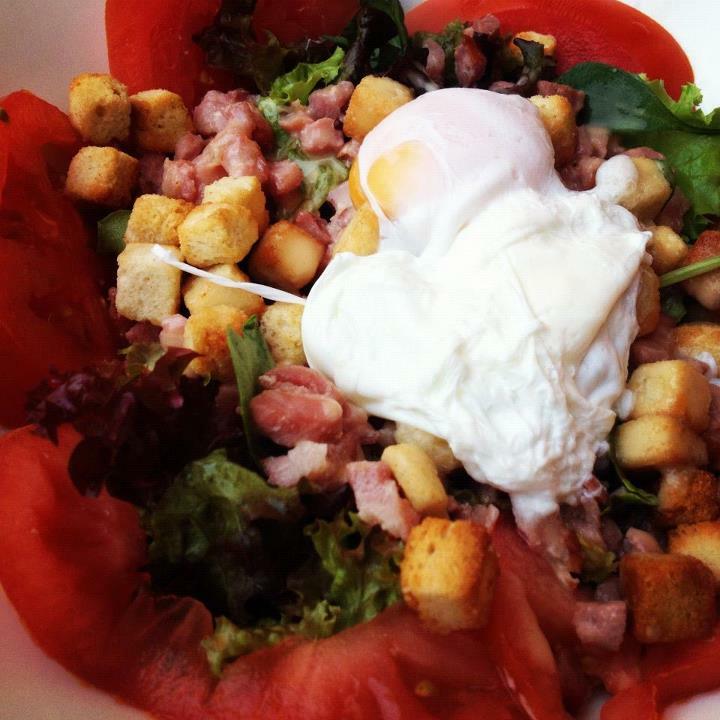 I dined on a yummy salad with poached eggs and bacon. Obviously, it’s not the healthiest of salads, but it’s probably one of the best tasting salads! You just can’t go wrong with bacon and poached eggs. We found lovely outdoor restaurant that was part of a hotel in Old Town. We decided to go all out and do fondue. 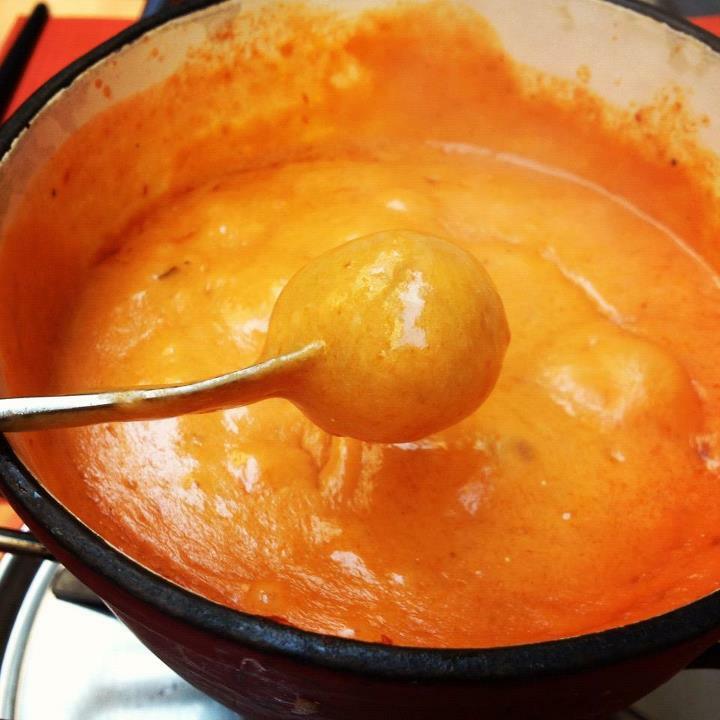 We chose the cheese and tomato fondue and dipped baby potatoes and bread into the delicious melted cheese. Because of the richness of the fondue, we each just ordered a light salad to accompany the fondue which we shared. 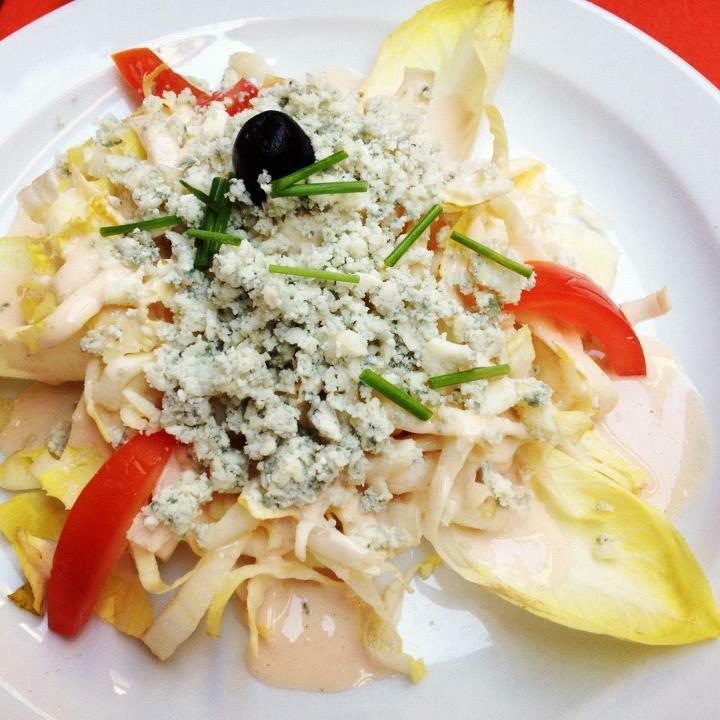 Gareth had an endive and blue cheese salad while I went for a mixed salad. 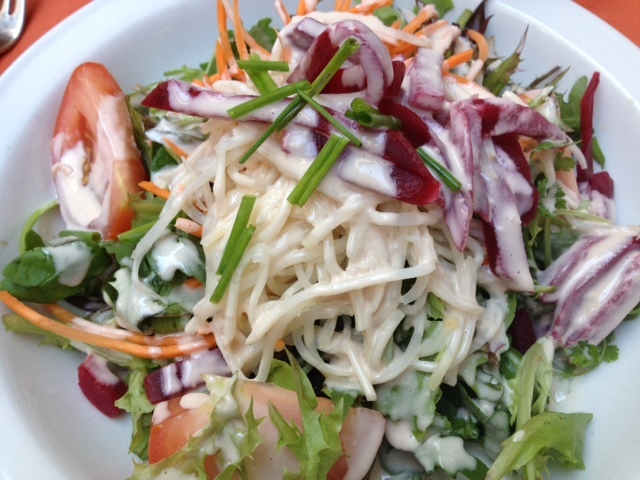 Although the salads were simple, they were made with fresh ingredients and were thoughtfully prepared. The food and service here were excellent. Olives quickly became a theme of the honeymoon. 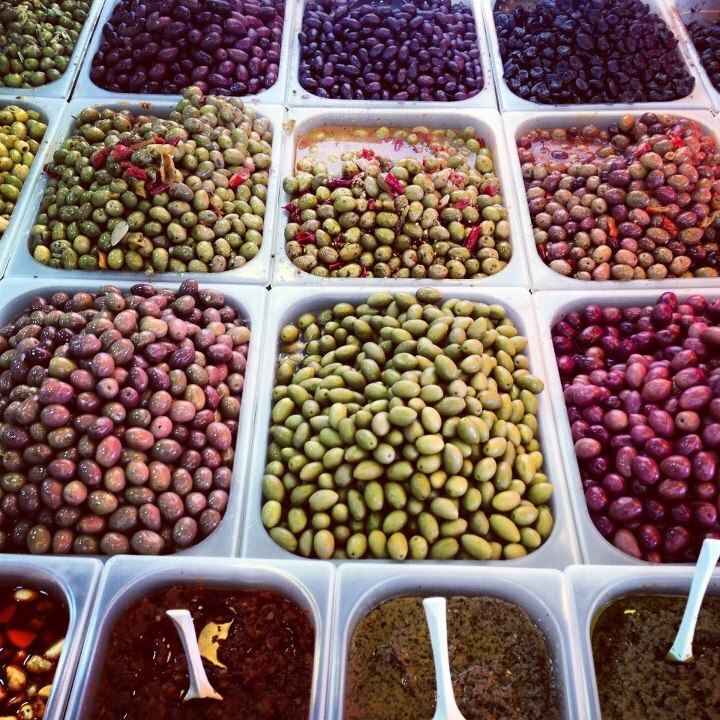 While in Geneva, we found an outdoor farmer’s market and I decided to purchase some of their amazing olives and eat them for breakfast. 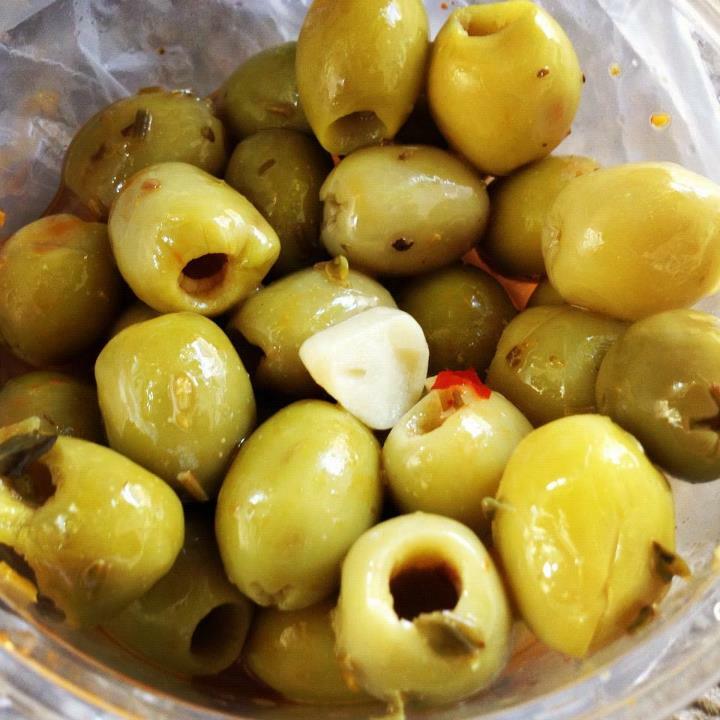 Clearly, olives are not an obvious choice for breakfast, but I just couldn’t resist. These were some of the freshest olives that I’ve ever had. This meal was probably my favorite in Geneva. Another Italian restaurant in Geneva, Restaurant des Antiquaires, was nestled on a hidden, cobblestone street in Old Town. The atmosphere was warm and friendly and their menu was filled with salads, fish, meats, fondue and pastas. 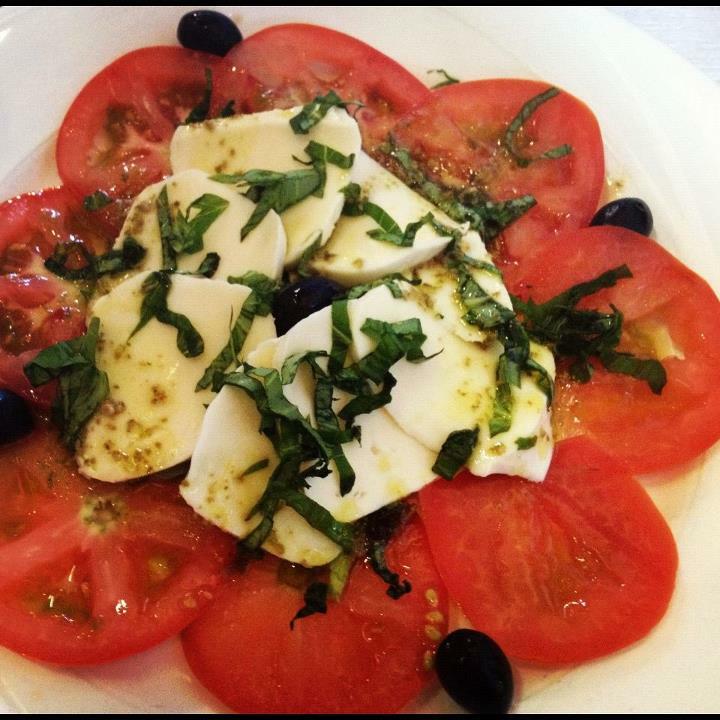 We started out with a tomato and mozzarella salad to share. 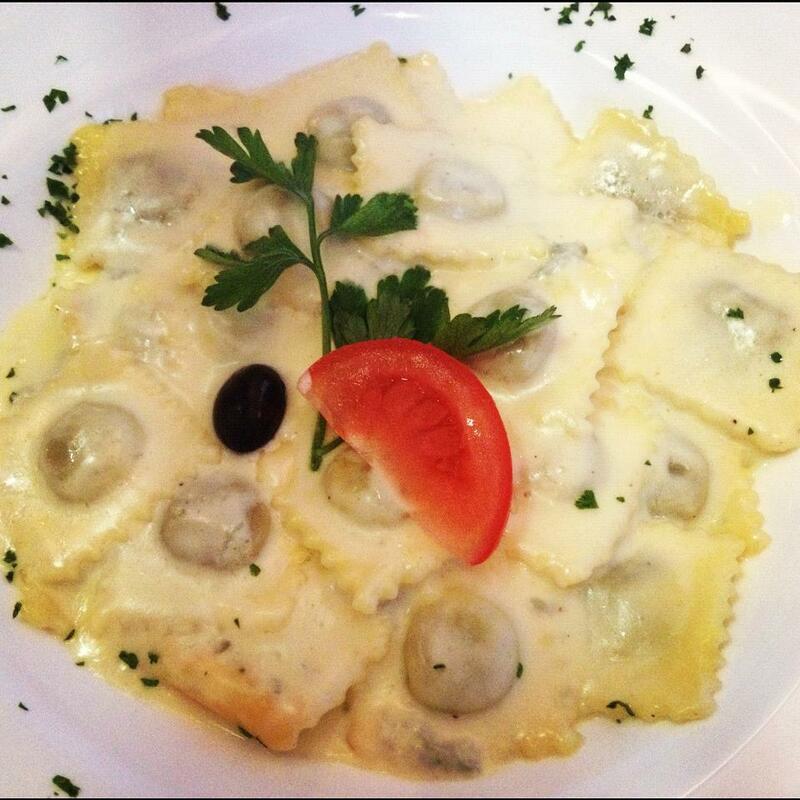 Gareth ordered homemade ravioli in a gorgonzola cream sauce. The gorgonzola sauce was decadent, creamy and rich. 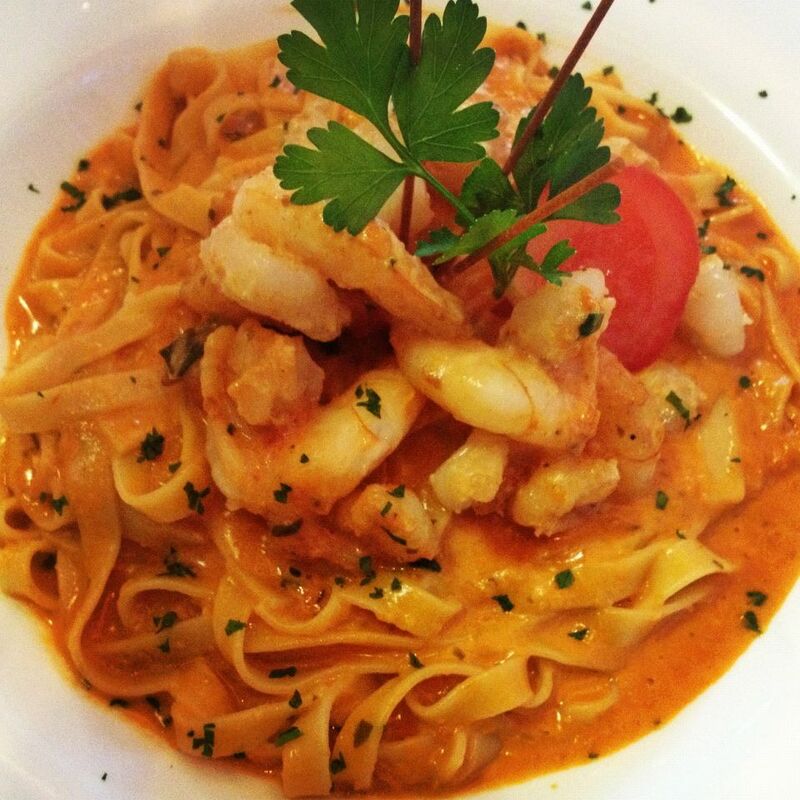 I ordered the linguine aux crevettes, which featured linguine and shrimp in a tomato cream sauce. It has been a while since I’ve ordered pasta while dining out (given my wedding workout and diet regimen), but this pasta made it worth the wait. The shrimp and the creamy tomato sauce were the perfect pairing. ← Honeymoon Part 3: Nyon.